Another Motorsport Showcase Event Coming June 29th to the Pueblo Colorado Convention Center! 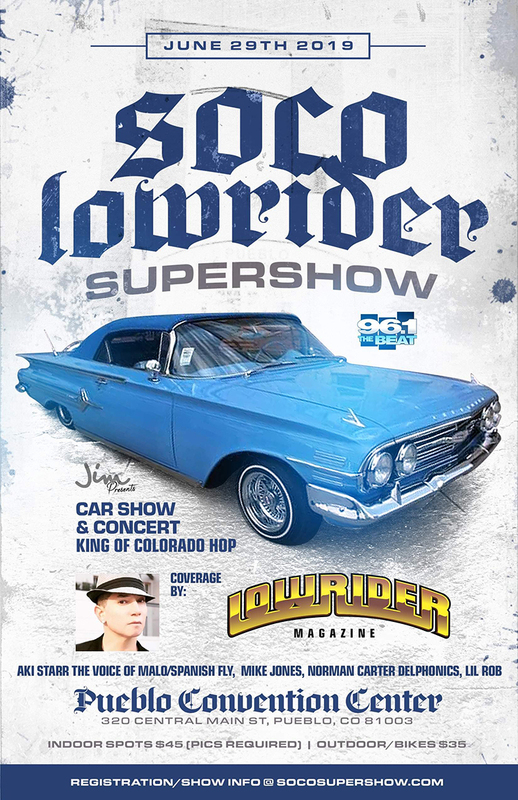 SoCo Super Show, Concert, Car Show and Hop! Information at www.socosupershow.com for Exhibitor and Vendor Registration, Hotel specials and ticket info! Concert line up includes Mike Jones, Lil Rob, Spanish Fly, and Norman Carter, original singer of the Delfonics!